Current information presented in a clear and straightforward format. Skill Drills that offer step-by-step explanations and visual summaries of important skills. Flowcharts to reinforce the decision-making process and appropriate procedures. Decision Tables that provide a concise summary of what signs care providers should look for and what treatment steps they should take. 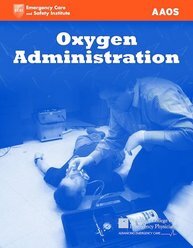 Use the resources found on the Instructor's ToolKit to enhance ECSI's Oxygen Administration program. The ToolKit CD-ROM provides a course outline, detailed lesson plans, teaching strategies, and answers to all end-of-chapter study questions found in the text. It also provides PowerPoint presentations, an image bank, final exams, and course administration forms.